Thrifty Crafty Girl: Everything must be pretty. Make it so. When I was growing up, my home was cluttered. I mean, CLUTTERED. My mother wasn't a hoarder or anything, but there were boxes of things in every corner of our house. I didn't even realize what houses should look like until I got older and visited my friends' houses. If you walk into my mom's house today, there's the same clutter... and I do mean the SAME. The exact same box of pencils that she collected on every vacation is still in the same corner. Why does anyone need a shoebox of unsharpened pencils from Branson, Missouri? I couldn't tell you. When I moved out on my own, I made it my mission to have a tidy house. I moved out when I was 18 and going to college, so the first few years were not actually TIDY, but at least I could call my corners clutter-free. After college, I had a tiny little apartment that was tidy... but that was because I didn't have anything to put in it. Fast-forward a few years and I'm married with children. My house is cluttered, but it's with toys... and children. I have two, why does it seem like there are 50 of them here? One of life's mysteries, I suppose. Anyhoo, I'm working to make everything organized and pretty. Very pretty. Like, the Princess Kate of pretties. On my family's budget, I have to work with what I've got. So while I'm saving up to do a bookcase organization project, that I promise to post about when it's done because it will be awesome, I'm busy doing the easy stuff. 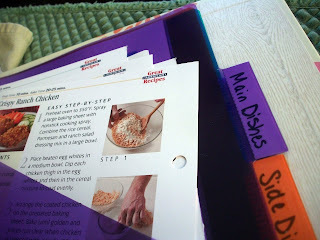 That post gave me motivation to make my own recipe binder, which will go nicely with the 12 other binders I have on my shelf. OK, it's not 12... but it's getting close. The setup of the binder was not an issue for me, as I am an old pro at making awesome binders that are awesome with their awesomeness. What I wanted to do was transfer all my old recipes from their little cards onto a 8 1/2 x 11 sheet, with the same template for each one. Uniformity. That's what does it for me. That's my real recipe for Fruit Pizza. I made it last weekend. It was delicioso. That means tasty-awesome-delicious. 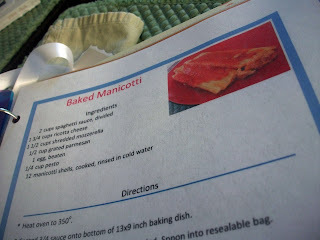 I took the picture when it was made so I didn't have to use a picture online that was not my own creation. I'm authentic like that. I went to Target and found a cute binder. 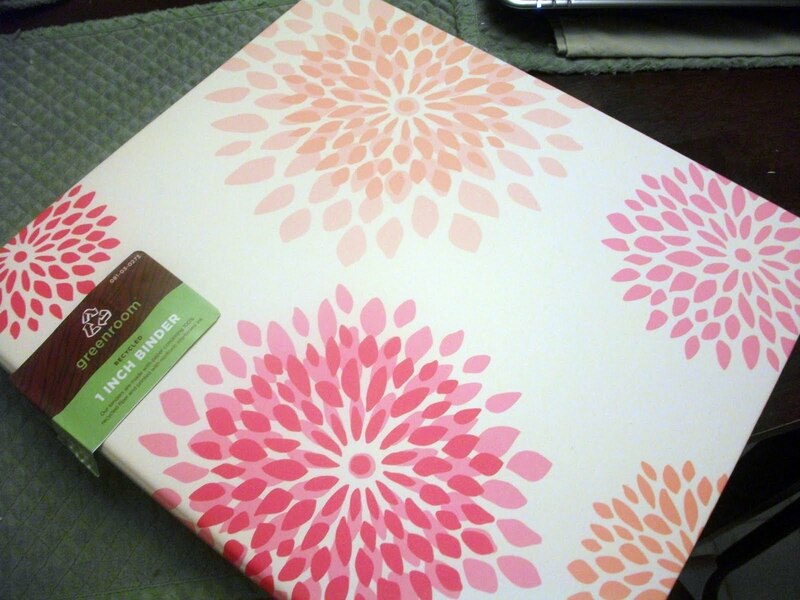 They have the cutest binders at Target! It's so happy and pretty! I found other cute binders too... they will have their own place in a future post. I got some tabbed dividers on clearance (jackpot) at Walmart, so I went to work. 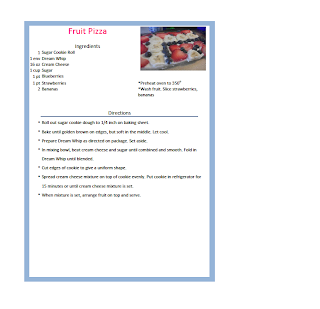 I labeled the tabs with courses since that's the easiest way for me to find them. 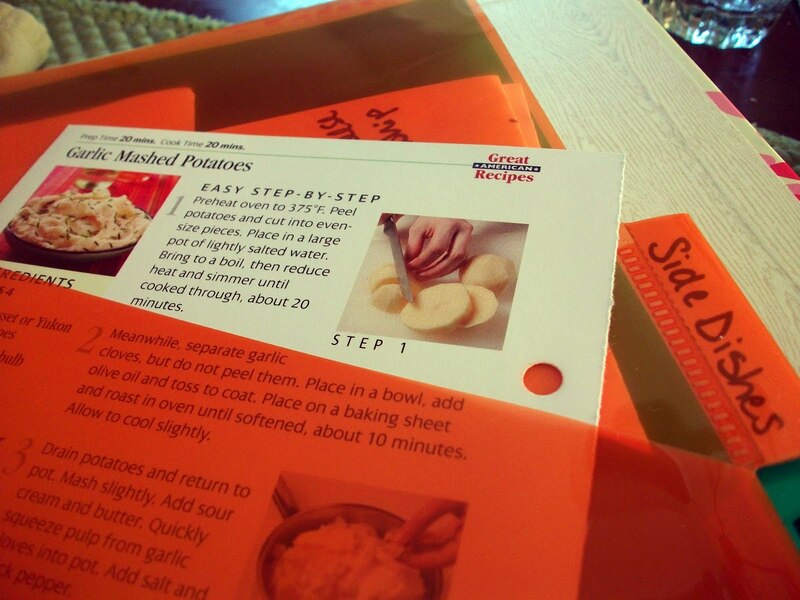 The tabbed dividers have pockets on each side so I'm keeping 'recipes to try' in the pockets until we can make them and decided whether they are good enough to keep in the binder. We have no room for so-so recipes! That manicotti recipe is amazing. Really. 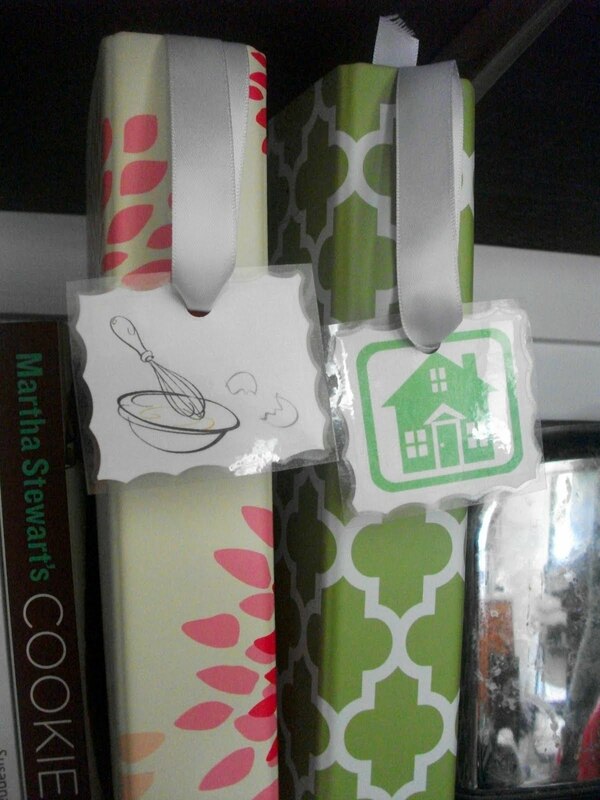 I made a little tag for the binder too, so I'll know which one is which. I have a 'home' binder that has all my important info in it (that's for another post) and other binders as well. What can I say? I enjoy the binders. And the clutter? I'll work on it. Ok, I'm starting to think you can see into my brain now! Chalk this up to another thing I have been wanting to do and you've just inspired me to follow through. Excellent idea, thanks for sharing! I hope you stop by today to link up again at Social Saturdays! What a great way to keep recipes,I really need to get ours sorted out, thanks for sharing a great idea! i love this idea!! I would have never thought of it!! Thanks for sharing! A great idea. I am on a never ending quest to get organised, so lovee tips like this. Great blog by the way!